James Surowiecki, author of “The Wisdom of Crowds,” wrote that in an article for The New Yorker two years ago, when markets were reacting to low oil prices. The quote is just as relevant now that oil prices are up, and frequent price spikes are predicted for this summer. Bauer College professors Steve Crawford and Volkan Muslu say media reports tend to attribute stock price fluctuations in any direction to oil price fluctuations, which can be misleading and confusing to investors. The study looks at a comprehensive sample of U.S. firms over a period of three decades. It finds that the effect of oil prices on a firm’s earnings vary greatly across industries. Yet investors typically react more strongly to a firm’s oil-related earnings than the firm’s other earnings, with the strongest asymmetric reactions occurring among small firms, oil-consuming firms and “when oil prices are high with volatile high equity market hype and uncertainty. Our findings prescribe caution in making broad interpretations about the effects of oil prices on a firm’s performance and stock price, as is common in the popular press,” the authors wrote. The paper was presented at the 2017 Financial Accounting and Reporting Section midyear meeting of the American Accounting Association and the 2017 Lone Star Accounting Research Conference. Muslu is now working on a related study that examines how a company’s operational slack shapes the tradeoff companies face when weighing current profitability versus future stock prices. 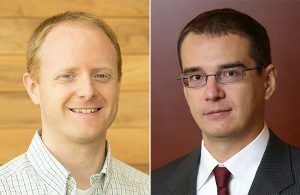 Both Crawford and Muslu are faculty in Bauer College’s Department of Accountancy & Taxation, which ranks 25th in accounting research productivity in the world based on BYU accounting rankings.